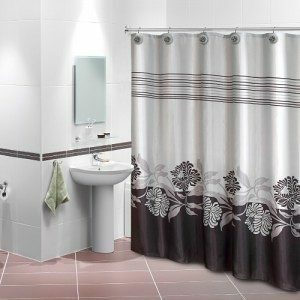 Home Collections Printed Shower Curtain with Polyresin Hooks Only $14.99 Plus FREE Shipping! You are here: Home / Great Deals / Home Collections Printed Shower Curtain with Polyresin Hooks Only $14.99 Plus FREE Shipping! Ready for a new look somewhere in your home? Make an easy update with the Home Collections Printed Shower Curtain with Polyresin Hooks Only $14.99 Plus FREE Shipping!